Overview: These two species are very similar in shape, size, and color. Range overlaps locally in Arizona and New Mexico, and both can occur as vagrants outside of normal range. Curve-billed is much more common and widespread and is found in relatively dense vegetation in both desert and suburban habitats. Bendire’s is generally found in more specialized habitats such as yucca-grassland or sparsely-vegetated desert. 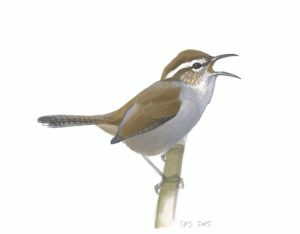 The frequently-heard whistled call of Curve-billed is unlike any vocalization of the relatively silent Bendire’s. The straighter bill of Bendire’s is one of the best field marks, followed by breast spotting, and face pattern. 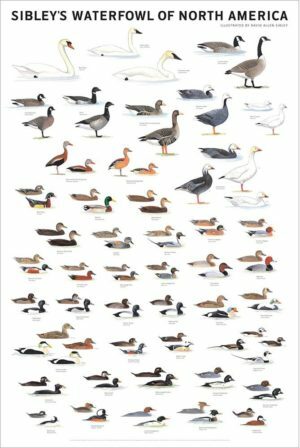 Bill color, posture, primary projection, and details of plumage color can offer some help, but are not as useful or reliable. Actually this is mostly a one-way field mark. 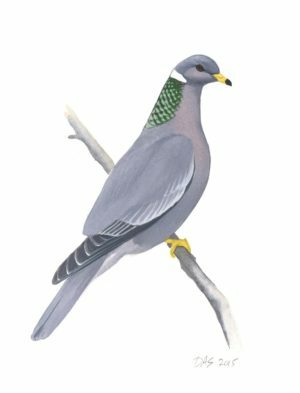 The call of Bendire’s is not very distinctive, as Curve-billed can give similar low chek sounds, but the whistled call of Curve-billed instantly rules out Bendire’s. Bendire's (left) and Curve-billed Thrashers comparing bill shape, head shape and pattern, tail width, and foraging posture. See text for more details. 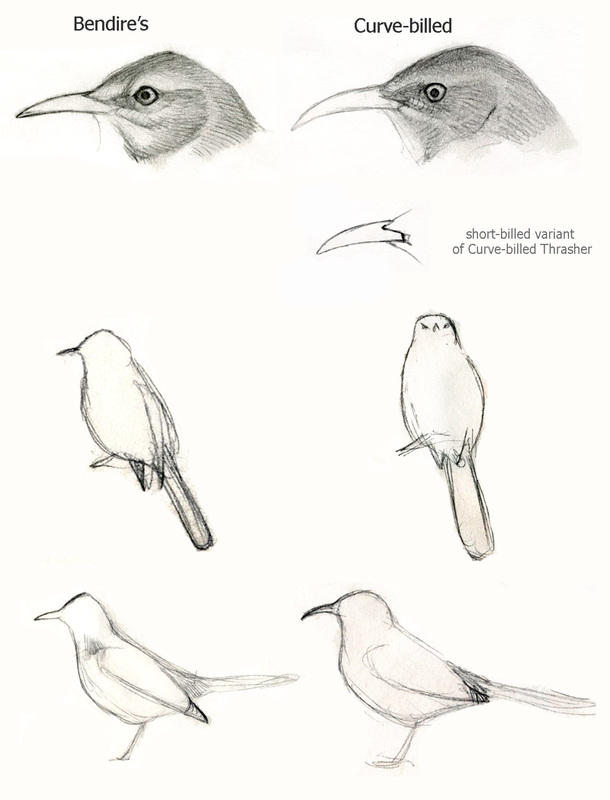 Field sketches from Tucson AZ; 31 Jan 1994; short-billed variant drawn from a specimen at Yale Peabody Museum. Copyright David Sibley. This is most easily judged by looking at the lower edge of the bill in profile (the bottom of the lower mandible) which is nearly straight on Bendire’s and conspicuously curved on Curve-billed. 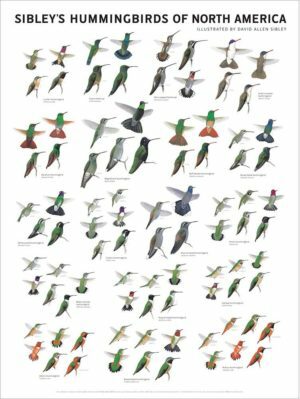 Note that bill curvature is related to length in this species and Curve-billed, so birds with shorter bills also have less curved bills. Pitfall: Young juvenile Curve-billeds have shorter and straighter bills than adults, and some adult Curve-billeds can have bills nearly as short and straight as Bendire’s (see image). Bill length and thickness are less useful than curvature, since they can be difficult to judge. 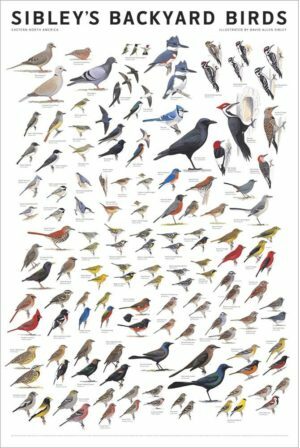 Some individuals of these species overlap in bill length even as adults, and juveniles have shorter bills than adults. This is a general sense that will be useful to experienced observers or in close comparison. Bendire’s is smaller, with shorter, thinner bill, smaller peaked head, thinner tail. It can be mistaken for Northern Mockingbird (which is shorter-billed, longer-tailed, and more slender) while Curve-billed generally does not recall a mockingbird. Like any difference in behavior, this depends on birds that are “acting normally” and cannot be relied on in unusual weather conditions, a bird out of range, etc. This would not be visible in the field. See Pyle (1997) for details. This would not be visible in the field and requires more testing to discover whether it is independent of bill length. See Pyle (1997) for details. Bendire’s shows slightly but distinctly contrasting pale lores, pale arcs below eye, whitish wrapping around ear coverts to sides of neck (see sketch above). 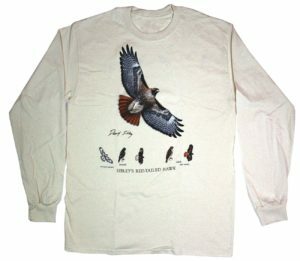 Curve-billed probably becomes more patterned when worn in spring and summer. There is considerable individual variation in the size and distinctness of spots in both species, with some Curve-billeds showing relatively small and distinct spots that resemble Bendire’s. In worn plumage (summer) spots on both species become indistinct and differences obscure. Orange-buff patches on sides of breast overlapping bend of wing, buffy flanks, and buffy patch on sides of tail coverts, are more conspicuous and more contrasting than on Curve-billed, but these are subtle, relative, and variable differences in color. This is a fairly consistent difference, but can be hard to see and some lighting conditions can make Curve-billed Thrasher look pale-billed. Pitfall: Young juvenile Curve-billed Thrashers have pale based bills. Pitfall: Some Sonoran (Arizona) and many Chihuahuan Curve-billed Thrashers (Texas) have pale gray base of lower mandible even as adults. Pitfall: Both species often have the bill covered with dust, looking grayish. Legs may average slightly paler gray than Curve-billed. I noted this while sketching in AZ in Jan 1994 and have not tested it since. 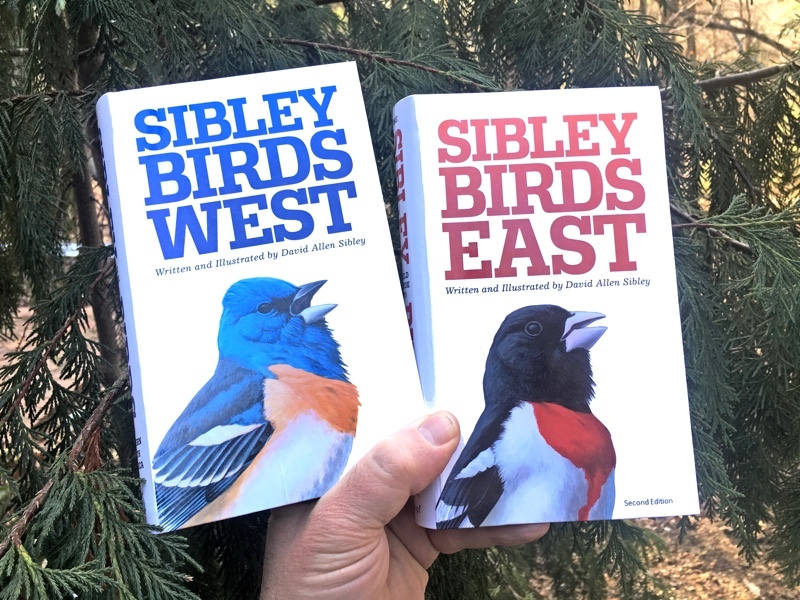 Seeing this in the field requires luck or perseverance, but if it is a consistent difference it could be helpful for establishing the identity of difficult birds or of birds in the hand. 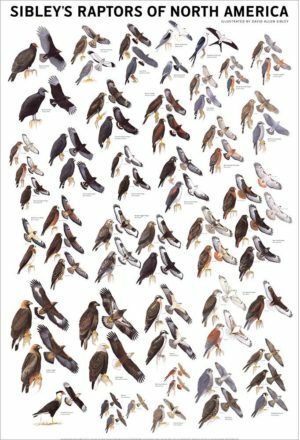 Note that Curve-billed Thrashers from New Mexico and Texas (and even a few as far west as Tucson, Arizona) have white tail tips like Bendire’s, and juveniles have faint or no pale tips on the tail feathers, so this mark is not very helpful. There may be a small difference in the extent of white: Bendire’s has white tips on only two or three outer tail feathers, while Curve-billed has white tips on all but the central pair. 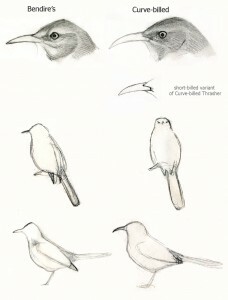 But since both species have the most white on the outermost feathers with a diminishing amount on each feather inwards, determining where the white ends can be difficult, and the narrower white tips on the inner tail feathers of Curve-billed could wear off quickly leaving a pattern more like Bendire’s. Iris color is too variable and too difficult to see to be reliable for identification. Immatures of both species have yellowish irides, and there is overlap in the color of adults. Bendire’s is generally found in open habitats with sparse vegetation and some bare ground. 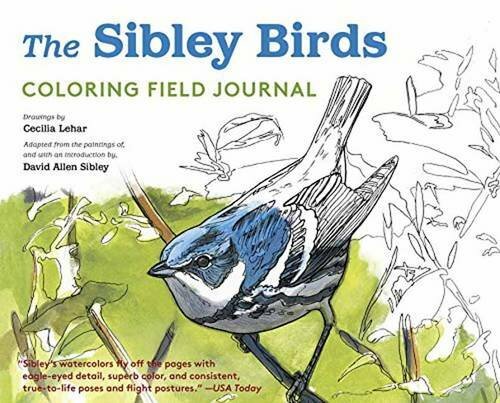 It is locally fairly common in some specialized habitats such as yucca-grassland or Joshua-Tree woodland, but in the areas where most birders travel (such as southeastern Arizona) it is scarce and very local. It is very unlikely to be found in mesquite thickets or around houses, where Curve-billed thrives. Curve-billed is much more common and widespread and is found in relatively dense vegetation such as mesquite and other shrubs along desert washes or in and suburban habitats. 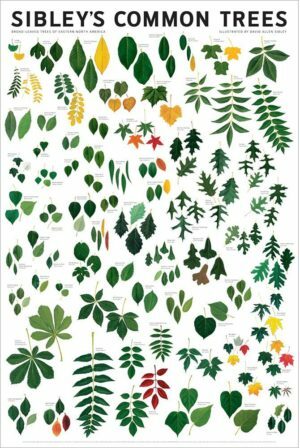 These species share only a general similarity in size, shape and overall color. The identification should be immediately obvious based on the Bendire’s lack of white wing and tail patches, more uniform brownish-gray color, more obvious yellow eye, lack of distinct dark eyeline, etc. Interestingly, while Bendire’s Thrasher might recall Northern Mockingbird, the larger, longer-billed, larger-headed, and broader-tailed Curve-billed Thrasher does not. These two species are usually easily separated. Bendire’s is overall grayish with small and indistinct spots below, Sage is more contrastingly marked with bold and dene dark streaks on underparts, darker upperparts, and more strongly-patterned face. In late summer, however, extremely worn adult Sage Thrashers can lose most of the dark streaks on the underparts and then become confusingly similar to Bendire’s, although Bendire’s at the same season have lost almost all trace of markings on the underparts. The following features should distinguish the species. Overall Bendire’s slightly larger, with relatively shorter (more rounded) wings and longer tail. 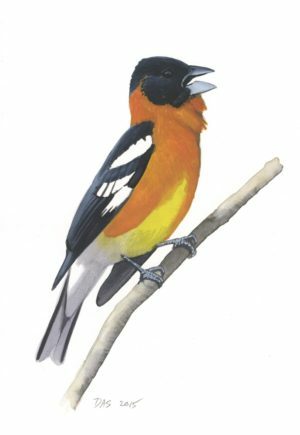 Song a rapid, husky warble building from a few short, high whistles to a rapid, jumbled warble with many husky, whining slurred notes; most phrases repeated but difficult to discern individual phrases; husky quality and slurred delivery with no pauses distinctive. Call a low, husky chuk, sometimes doubled; may recall Northern Mockingbird. 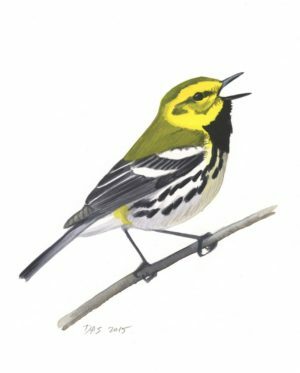 Juveniles present additional identification challenges when present about March to September. 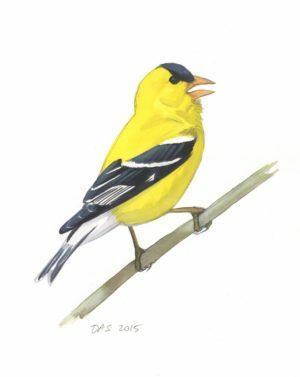 Recognizing the age of a juvenile bird is key to proper identification. Adults in the months when juveniles are present can become very worn. Any white tips on the wing coverts and tail feathers will be reduced or absent, breast spotting indistinct, and overall plumage mottled and “scruffy”. Juvenile Curve-billed Thrashers (March to September) present one of the major pitfalls for identification, as several of the features of juveniles (relatively short, straight bills and small distinct breast spots) resemble adult Bendire’s Thrasher. January All birds adult-like, relatively fresh. ID straightforward. 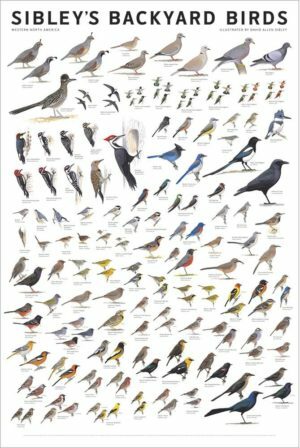 February All birds adult-like, relatively fresh. ID straightforward. March All birds adult-like, becoming worn. ID is complicated by the appearance of some juvenile Curve-billed Thrashers late in the month, which resemble adult Bendire’s in bill and breast features. April Juveniles can appear as early as mid-April, and juvenile Curve-billed Thrashers are present. Adults showing considerable wear. May Juveniles of Bendire’s and Curve-billed Thrashers are present, adults showing considerable wear. June Juveniles of Bendire’s and Curve-billed Thrashers are present, adults showing considerable wear. July Juveniles of Bendire’s and Curve-billed Thrashers are present (some older individuals worn and molting to adult-like plumage), adults showing extreme wear and beginning molt to fresh plumage. August Juveniles of Bendire’s and Curve-billed Thrashers are present (most older individuals worn and molting to adult-like plumage), adults showing extreme wear molting into fresh plumage. September A few Juveniles of Bendire’s and Curve-billed Thrashers are still molting (most older individuals already molted to adult-like plumage), adults completing molt into fresh plumage. October A few Juveniles of Bendire’s and Curve-billed Thrashers may still be present, most are already molted to adult-like plumage; adults in fresh plumage. November All birds adult-like, relatively fresh. ID straightforward. December All birds adult-like, relatively fresh. ID straightforward. Males average slightly larger than females but no other differences known. Pyle, P. 1997. 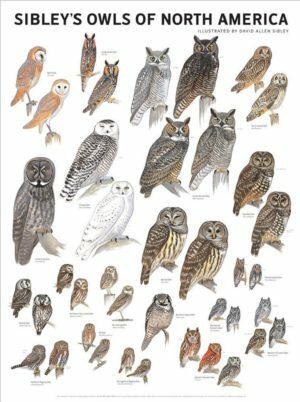 Identification Guide to North American Birds: Part I. Slate Creek Press. Keep all medicines wellbutrin sr available canada in marvel of the reach of children..
re your comment on mouth lining color. I was lucky enough to have a curve-billed perch on the powerline behind my house (Truth or Consequences, NM, 913 Spruce on eBird) and sing for more than 15 minutes, just before sunset 14 Mar 2013. I was able to get out my spotting scope and take a good look to verify identification. It was quite vocal and rarely stopped singing. It’s mouth lining was a distinct light red color, and its eyes were distinctly yellow. As it sang, it started each set with a twice-repeated phrase which suggested to me the words “teddy bear? teddy bear?” I’ve been checking through the online guides to confirm the identification, as curve-billeds I’ve seen before all had orange eyes. Love your comparison pages, great for amateurs like me!